Pearson Ln, Hackett Pike, Campbell Branch Rd, and Peacock Rd. Some property owned by McKinley Johnson, Everett Eades, Arnold Baker, Clinton Parke & R.E. Wells, Gale Turpin, Kate Cosby, D.J. Cosby, and Luther Parke. 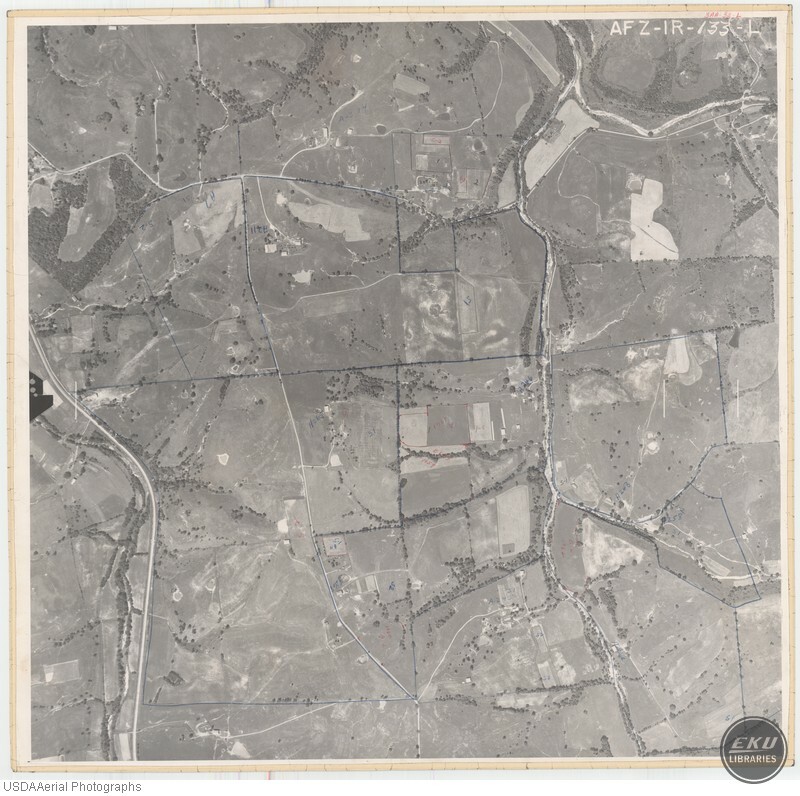 USDA, “East Madison County, South of Ford,” Digital Collections, accessed April 19, 2019, https://digitalcollections.eku.edu/items/show/803.